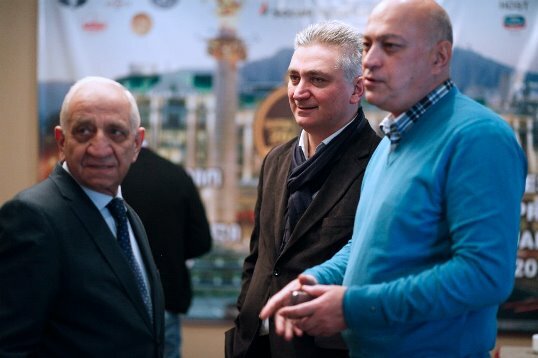 ECU President Zurab Azmaiparashvili and Chessdom editor Goran Urosevic have met in Tbilisi for a long interview on several important subjects – development of chess, events organization, sponsorship, European Chess Union and Batumi Chess Olympiad. The interview will be published in two parts, with the second part coming up in few days. 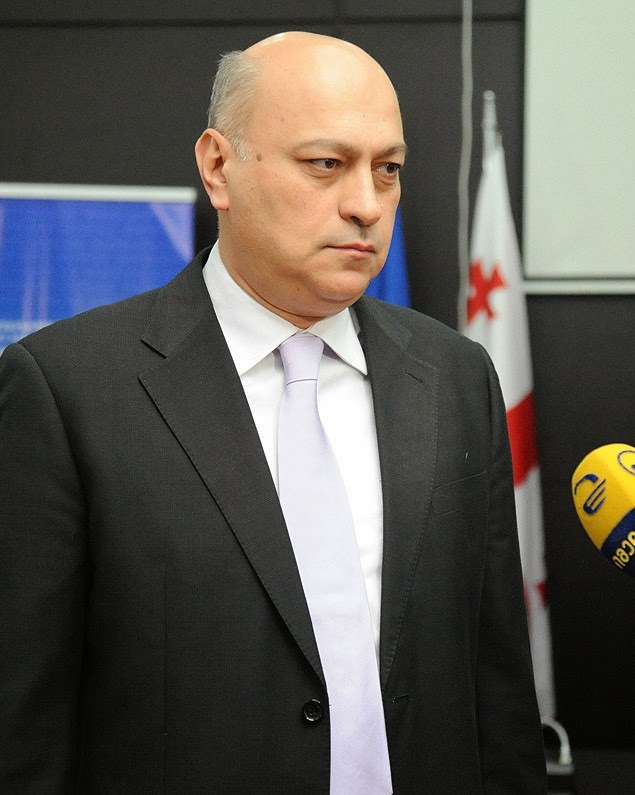 Q: Mr.Azmaiparashvili, you have just returned to Tbilisi after a long trip, and now we are following the FIDE Grand Prix tournament. What are your impressions? A: In all Grand Prix events we have top players and of course we expected an interesting tournament. Just, you know, it is always better to have greater diversity in number of countries represented. Unfortunately, since the event was originally planned for Tehran, some of the players could not play there, so now we have most of the players from Russia and neighboring countries. Nevertheless, from Russia are coming the top and well-respected players. I didn’t expect that Evgeny Tomashevsky would lead in the tournament, but all these young boys are fantastic, they play wonderful chess, sometimes Andreikin is winning, sometimes Tomashevsky, it’s all great. Q: Everyone I’ve spoken to here in Tbilisi said that they’ve never seen such a strong men’s tournament here in the city. Do you plan to continue with similar activities? A: It all depends on the results of the Georgian players. Now I am speaking not as a chess player, but as President of ECU and organizer. So what is interesting for us? Of course I am a patriot. But should we just spend money to organize a tournament? Of course not. Our aim is to have successful players in the future. We need the results. Without the results I cannot promise that this support for events will continue. If you follow any kind of sport, if there is success, there follows sponsorship. If you are not successful, sorry, this sport will lose the support. So what is the comparison between men and women chess tournaments. Why is Georgia organizing many women tournaments, also on the top world and European level. Everyone will remember that the 2004 World Championship in Elista was organized with Georgian money. Even if our girls are not winning first places in the recent years, they are nevertheless always fighting for the top. Last year in Spain the Georgian team won the European Club Cup for women. This was very important! So for us, for the sponsors, for the government, for the general audience, it is crucial that the investment will be justified with the results. We respect all the chess players, but Georgia is not rich enough to sponsor the whole chess world. So I would like to give an advice to Georgian men players, including Baadur Jobava: – Be more practical, more pragmatic, think about the greater good, and not only as an individual. If you think only about yourself, and you don’t think what is behind this, what kind of work is backing the whole structure of this tournament, then you will never understand what people are expecting from you. Believe me, to organize this tournament, we had to do possible and impossible. Q: This was actually my next question. How did you manage to prepare the tournament on such a short notice of only two months? A: It is unbelievable work. We have to explain to the people that it as not possible just to go to the government and ask for 250,000 EUR for a chess tournament. Okay, we have very respected players here, Radjabov, Grischuk, Vachier-Lagrave, or Anish Giri, who is becoming Georgian son-in-law soon, but unfortunately even these names don’t mean much to our local authorities. If you say Carlsen, yes they know Carlsen. 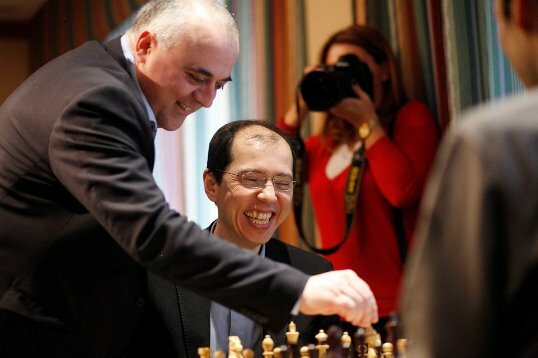 If you say Kasparov, yes they know about him. If we say we have Jobava, yes they know about Jobava. 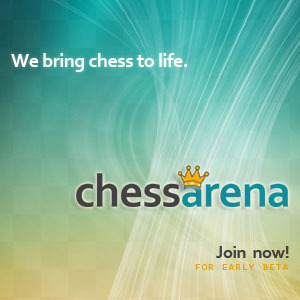 We want to organize a Grand-Prix that Jobava will play in, that will help him to establish himself in the chess world. This they can understand, and this was our main argument to search support for the tournament. And I have to tell you, without Mahir Mamedov, this tournament would never happen! Q: What was the role of Mahir Mamedov? A: Mahir Mamedov had a key role in securing this tournament. And we all have to thank him. We were in a meeting in Baku when FIDE realised there will be a problem with Tehran. Suddenly one FIDE official offered – “Why don’t you organize the Grand Prix in Georgia?”. I said – “Okay, but what is our target, honestly? Just to spend money? We are already spending a lot.” We had many women tournaments, including Women Grand Prix, and now we are preparing for the World Cup and Chess Olympiad. The answer was – “But you have Jobava.” Yes we have Jobava, an extremely talented player. But can we find 250,000 EUR just for the sake of his name? Mahir Mamedov was there somewhere. He understood my doubts and he said – Okay, if you will find some money and you want to hold this tournament, SOCAR will be general sponsor and we will provide 50,000 EUR.” Just like this, in one sentence! I said okay, I will try my best. And when I was knocking at the door of the government officials, Prime-minister’s cabinet etc, I could always say that we already have a sponsor. And when I went to meet the Mayor of Tbilisi, Mr.David Narmania, with whom we are friends, I told him – “Listen, we have a sponsor, I want to organize this tournament in Georgia, can you at least help us with accommodation expenses.” We calculated the budget, he gave his word, we shook hands, and he fulfilled the promises. The government also helped us, and it is like this that we collected the money. I believe FIDE understood our effort and will not press us if we didn’t complete all requirements according to the regulations from the handbook. But for us the most important was to provide all conditions for the players. The prize fund was transferred to FIDE long time ago. We found a good hotel in the very center of Tbilisi and the playing conditions are great. This was the most important. We worked very hard with Giorgi Giorgadze, President of Georgian Chess Federation, to achieve all this. By the way, do you see any sponsors here? No, it’s only SOCAR. It is extremely difficult to find a sponsor, believe me. But I have to repeat – people expect results. If there are no results, this kind of tournament will not happen in Georgia for the second time. We have had many women events. Okay, the last Grand Prix was not successful for them, but they fought really hard. They will do better next time, and we will continue to support the women chess. We will host the Chess Olympiad and our aim is, please don’t think it’s a joke, to win the 2018 Women Olympiad. If men could persuade us that they will try their best, and that they can finish in top 10, okay that would be something. But when I see that they finish 44th or something like this, I just don’t know how to help them! Can you tell me? So people can see that the money invested in rugby is well spent. They are even more popular than football!